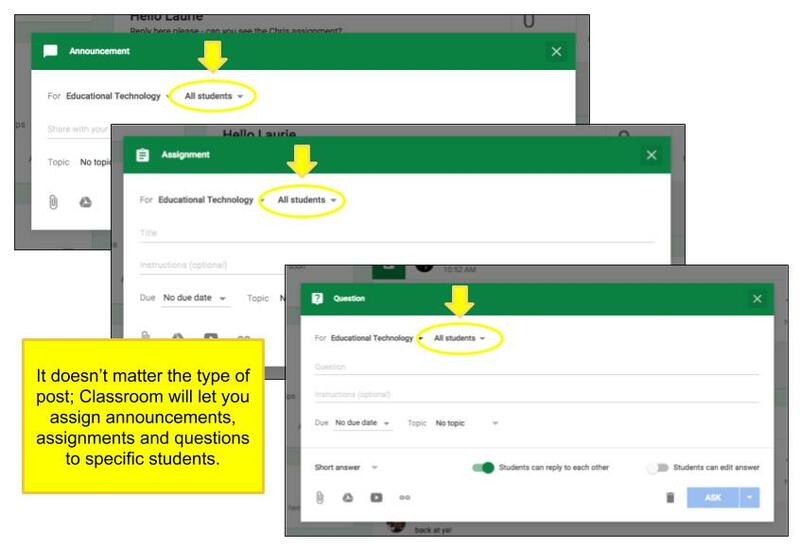 Google Classroom now allows you to change how many students can view a particular announcement, assignment or question. This also applies to reusing archived posts. Choose to create a question, assignment or announcement. Next to the class choice it now also says “All Students”. Click from the drop-down menu to change who to give this assignment. Check individual students to make the post visible to them. Note: It’s similar to selecting which class(es) to post. Post your announcement, assignment or question. The students will only be able to see what you have made available to them. 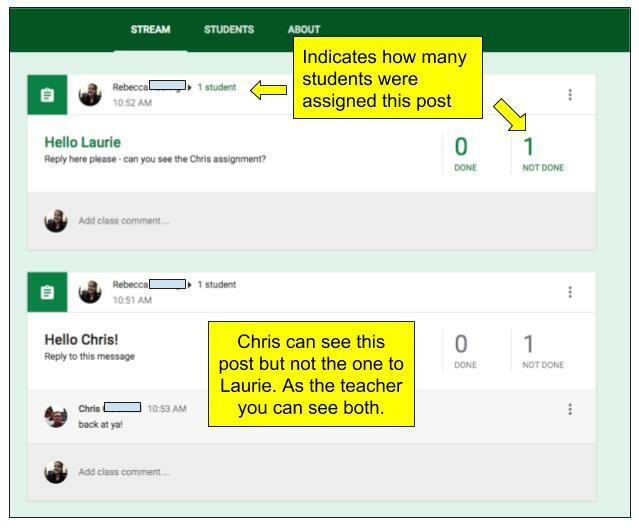 If you have allowed students to post on the class stream, they will not have the same ability to choose who sees their posts. All posts will show up in your stream. 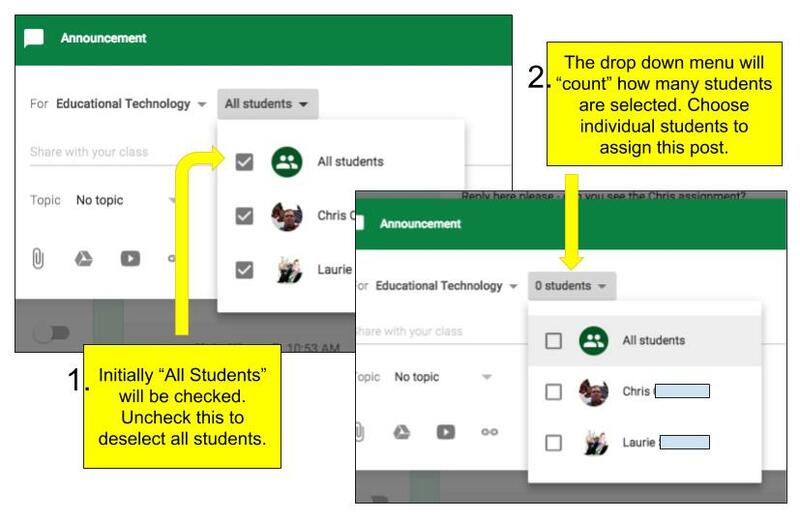 In the Classroom Idea: This could be beneficial for group work because it allows just the groups to have access to the assignment, question or announcements.